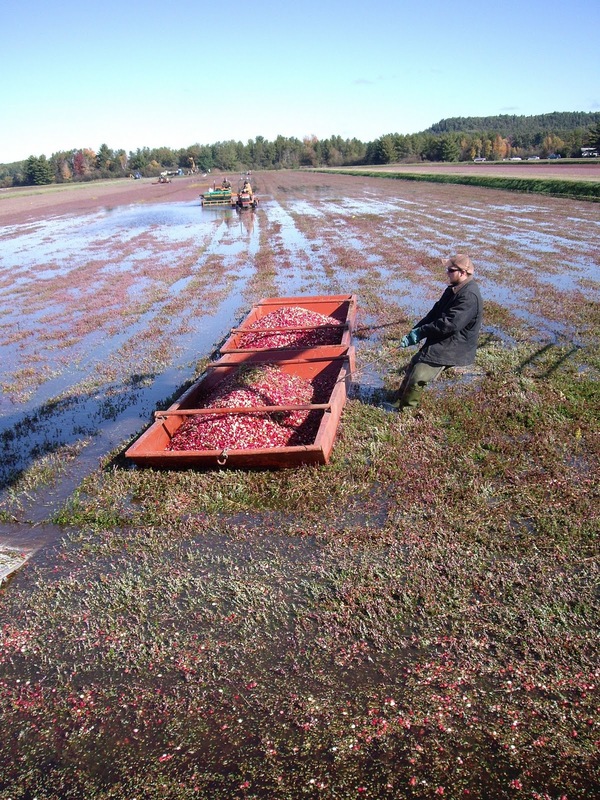 Beth Dooley: Cranberry Fields - FOREVER! Pretty Good & Easy - Local thanksgiving! 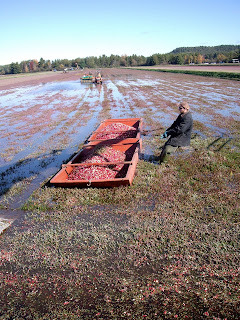 Cranberries are the last fruit of the season; the earth's bonny farewell until spring. Our local growers in Wisconsin have hauled in a heap of these tart-sweet gems. They were once called bounce berries, for their springy character and snappy taste. When you get them this fresh -- at farmers markets and natural food co-ops -- they practically sing as they pop in the saucepan, cooking in to the traditional relish we favor with our national bird. Cranberries this fresh don't HAVE to be cooked. Try this fresh salsa that comes together in seconds. It's great alongside cheese, swirled into mayonnaise for sandwiches of leftovers, and terrific on the harvest table itself. Put the cranberries, gingerroot, orange zest and juice into a food processor fitted with a steel blade and process until the cranberries are chopped fine. Pulse in 1/4 cup sugar. Taste and then add more sugar as desired. This will keep about 1 week, covered, in the refrigerator. Between this cranberry ginger salsa and the cranberry sorbet in your new cookbook - you were the rave today at our table. Thanks!